Once again I don’t feel like they’ve changed much. I’m sure having yarn in my hair for a week didn’t help. I don’t palm roll. I’m not sure if it really does anything. 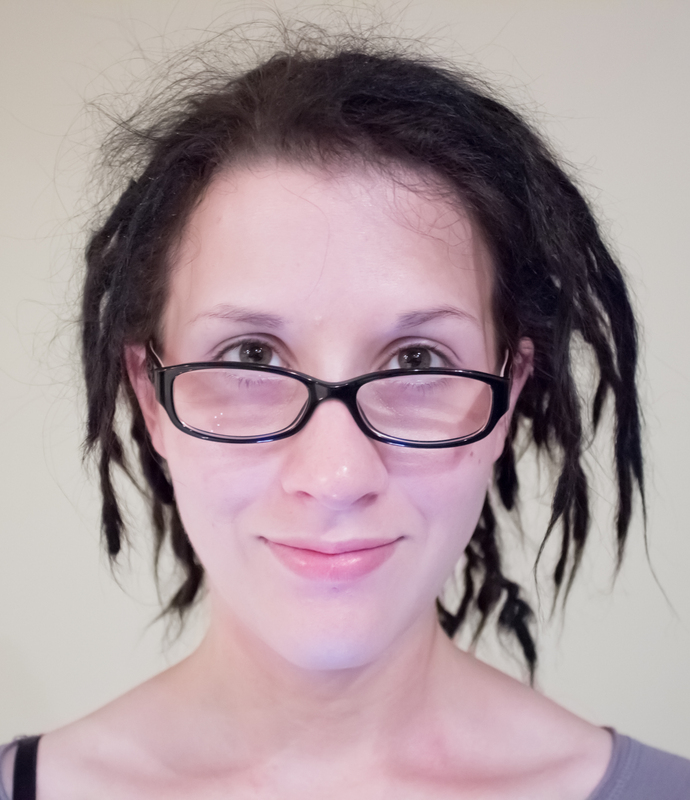 Many people don’t start liking their dreads until they’re about a year old, but others have awesome dreads day one. There’s no way to really know what will happen, but I say go for it! You can always brush them out before your wedding if you decide you hate them. Or you can just decorate them with yarn and beads. I loved the yarn I put in for Halloween. haha It’s no problem! 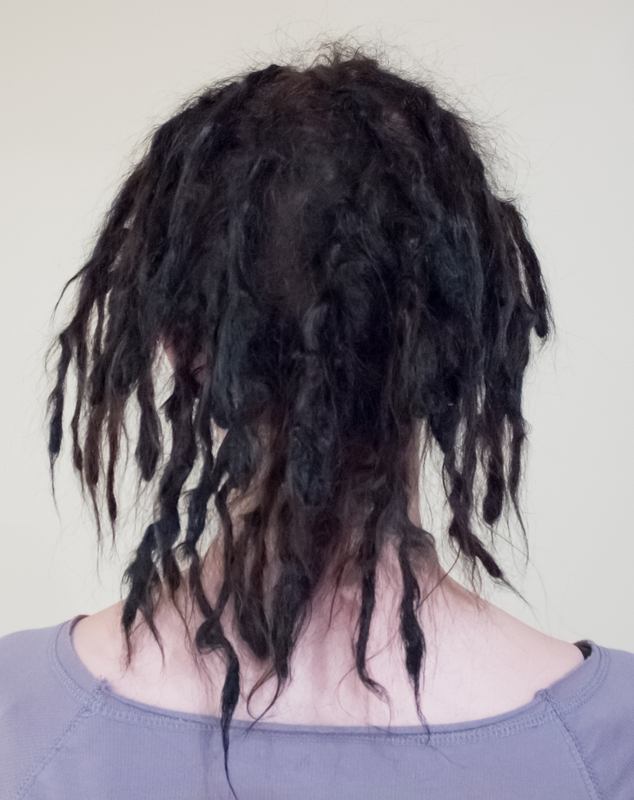 If I had thought it all out beforehand I wouldn’t have done it this way, but anyways… I used this method around my dreads http://youtu.be/U0pDXz7F1DI except that I didn’t put the yarn through the base, just knotted it well at the top. After I did all of that I looked like Raggedy Ann, so I tied another loop of yarn to the bottom of my dreads and tied a third piece to the yarn then braided the three together. I hope that makes sense. I’m sure there is a much simpler way of doing it.